Actions-Behind the Scenes from Danielle Driehaus on Vimeo. For their second music video, “Actions,” The Upset Victory partnered with UC College Conservatory of Music students, Cincinnati-based lighting and production companies, local businesses, artist studios, and Cincinnati historical sites. Performance scenes were filmed on the top floor of the historic Bromwell’s building located downtown on 4th St. and in The Essex Studios in Walnut Hills. 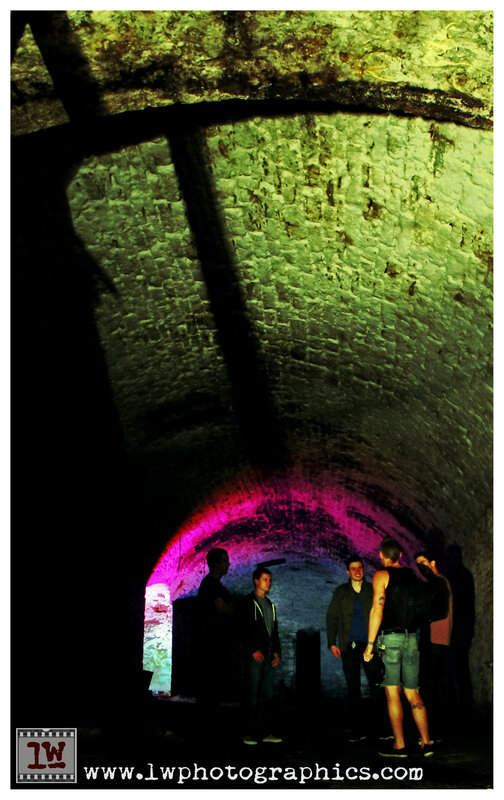 The band was granted special access to several underground tunnels and passageways by the Cincinnati Brewery District. “None of us are afraid to get dirty… probably a good thing, considering we were 20 feet below Elm Street for much of the video,” says Stephen Campbell, guitarist. The world premiere of “Actions” is tonight at The Olde Fort Pub in Ft. Thomas, KY. For more information, visit the facebook event page here.